We are not clear whether this DIY invention is ingenious or simply obvious. Spending $50 on plumbing pipe equipment, and diligently documenting this invention for posterity strikes me as unusual. However, it is undeniably a useful product. 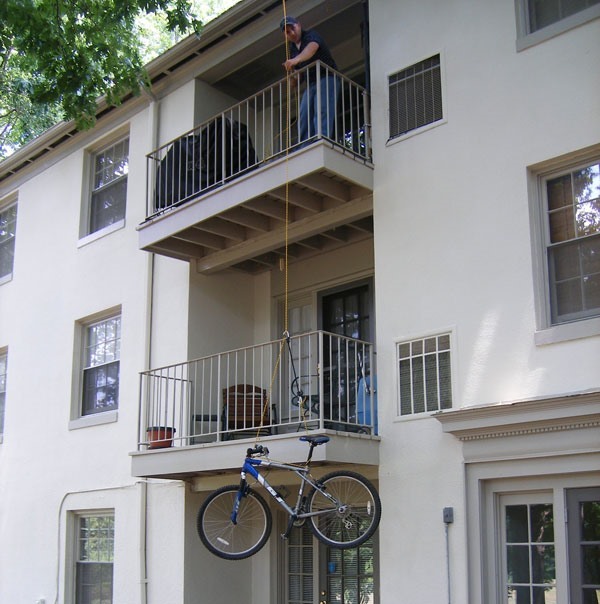 After all, who enjoys carrrying a bicycle up several flights of stairs? Click through for the HowTo.